Hi, this is my first build so be a little easy on me if its not the greatest. This is the build I use with ares to get 10-2-40, so I think it should help. Ares has probably the best CC in the game, and I think hes the best support as well. If you combo him with practically anyone with an area the penta's go off the charts. He is my favorite God to play, and this is the build I use to give the enemies no escape. His mid-game is about average nothing to exceptional you probably won't die as your so tanky. However its your main time to get tons of assists. It ends up not being that eventful though. His late game is where he gets the best. He is a really helpful support and just is a vital part of team fights, and he hardly ever dies. He is really amazing in his Late Game. This item, as well is in there because of his passive and the Magical life steal can power is deadly when with the right people. This item is a awesome chaser and really helps you and your ADC get some kills. This is a good item to have for the magical prot denial. Really makes you a good killer for some of those tanks, but not vital, better late game. Pestilence makes ares a really mean chaser, even more then he is, as they get lower healing. This is a required active. You blink in and use your ult to grab them all out of there tower ready to be killed by your team. This is a over all really good active item to have as a support, it really helps with FG GF, and camps. This is a awesome ability. What you want to do is fire 3 chains at 1 enemy in succession and that'll start doing massive damage. This ability is good for escaping, or chasing. It gives you CC reduction and defense, and a bonus for each shackle out, so what you want to do is after those 3 chains use this. This is the ability that ties everything together. After you do 1 and 2 you use this to help the damage with the chase. Once they think they've escaped use this ability to pull them back into the fight. Even if they have beads if they are low enough it will kill them with the 500 damage it does when you wouldve pull the people in. These skills combo'd should kill most anything. You don't really jungle with ares. The most close I've ever come to jungling with him is cutting people off in the jungle. Typically you would come in one of the entrances that the people are close to, and pull them out of the jungle with your ult. It really works well and is a vicious way to kill the people. Ares works well with a lot of people with his ult. Her are some of them and how he works with and why. He works really well with Poseidon with his ult. You can use your 4 and pull them in, while Poseidon uses his ult on the area where they are dragged in. Ares can use his 1 and slow them down and fire them with his 3 so that they can't escape. Ares works well with Zeus because of their ult's. You can drag them into the thunder cloud and do massive amounts of damage, and will kill pretty much their whole team. Ares works well with a lot of people and these are the main ones. Please comment and tell me any tips for my build. 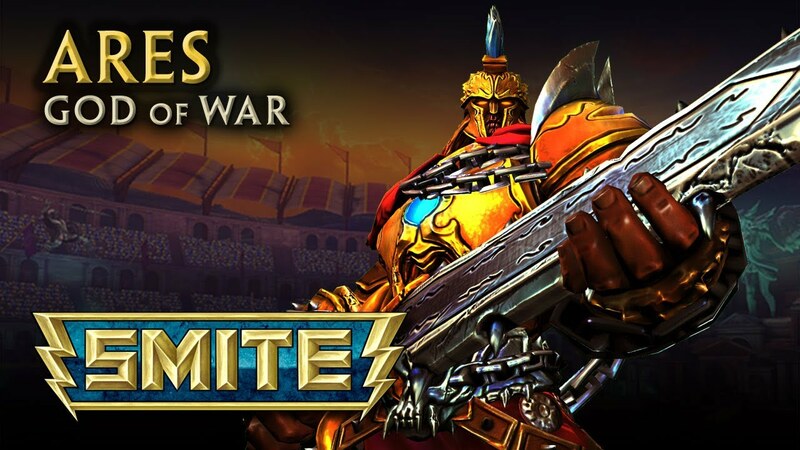 Ares will generally get a kill early so he may not need midas boots early in general. Ares deals quite a lot of damage is just straight out annoying. 81414 Greenevers [quote=kirex67bu] Why reinforced graves and not midas boots? but otherwise i agree with all the build [/quote] Ares will generally get a kill early so he may not need [[midas boots]] early in general. Ares deals quite a lot of damage is just straight out annoying. Also for the item section I would straighten out the icons with the text and center them. 79406 wetcoolguy101 Great guide Chaogus good starting point but I would recommend using columns and do some more ult combos like [[Zeus]] [[Ares]] and more but great first guide an up vote for me :D Also for the item section I would straighten out the icons with the text and center them.